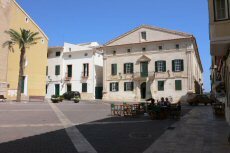 Mahon is the capital of the island with 21 884 inhabitants. The city still remain a colonia feel due to the pas british occupation. The name of the city came from the general Magon, Anibal's brother. Mahon is one of the most picturesque city of the mediterranean area. 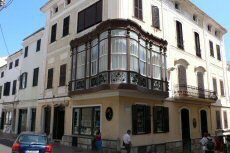 Places of interest of the city are, the old town, Santa Maria gothic church, bridge of San roque, the museum of Hernandez Mora. 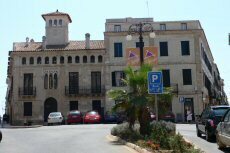 -	then the urban centre with the Santa Maria church, the bridge de Sant Roque or El Carmen Market. Museum that presents the human occupation of the island. The fortress was constructed in the XIX century to protect the city.